I love wearing dresses. They make up the vast majority of my wardrobe, mainly because they're just so easy to wear - throwing on a dress and a pair of boots in the morning is so much simpler than having to contemplate a jeans/skirt and top combo while you're still half asleep. Plus you have the added bonus of looking like you've really made an effort! 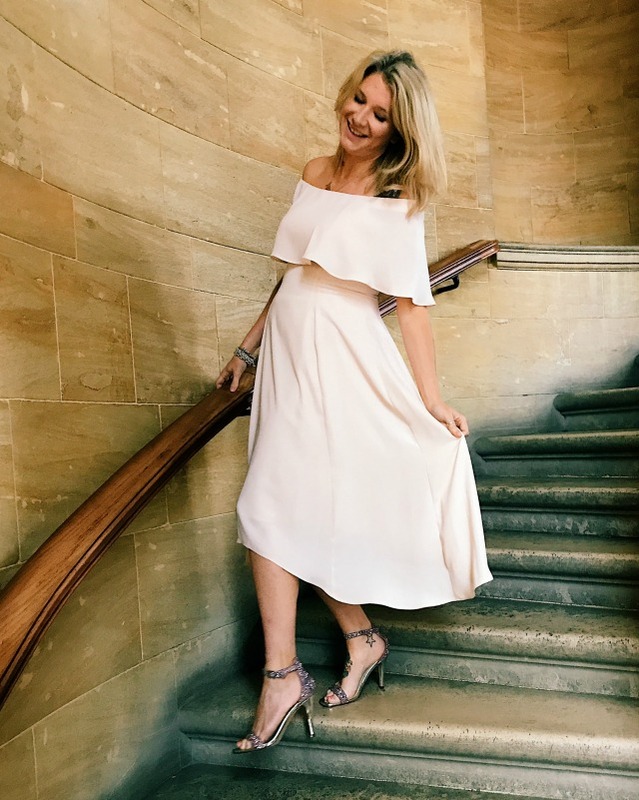 Of course when it comes to going out-out, I really do like to make an effort - and although it doesn't happen as often as I'd like, I love nothing more than having an excuse to don a fancy frock and pair of heels. I don't think I've ever loved a dress as much as I love this one, which was gifted to me by Simply Be, in all my thirty seven twenty six years on this planet. I love its frilled bardot neckline - the frill sits quite low and covers your bust (and part of your tummy). I love the asymmetric hem of the skirt which sits just around the knee (that's my perfect length). I love how the outer layers of the dress are floaty and feminine but it has a more structured lining that hides all my lumps and bumps. Basically, this dress makes me feel a million dollars, and I desperately need an excuse to wear it out! I'm 5ft 6 (and a half) and am wearing this dress in a UK Size 12. 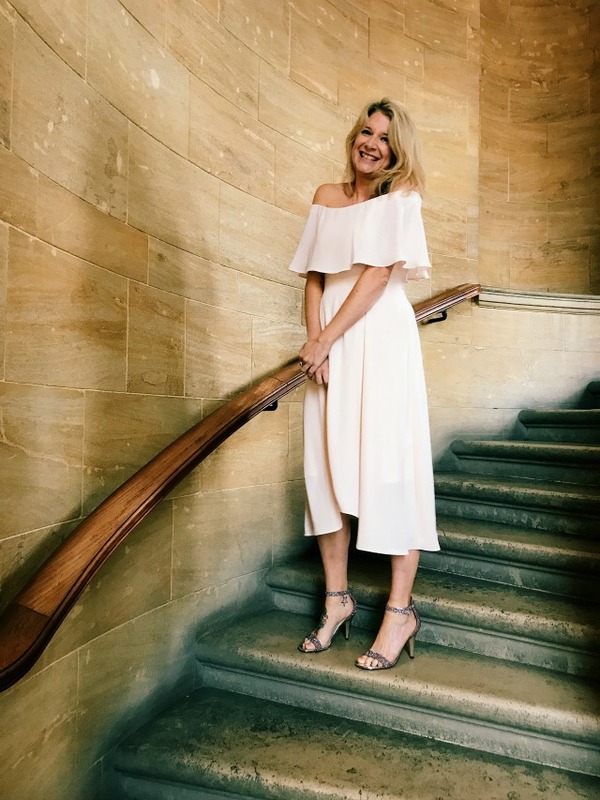 If you're looking for party dresses, the Simply Be website is a great place to start - I'm pretty confident you won't need to look anywhere else! 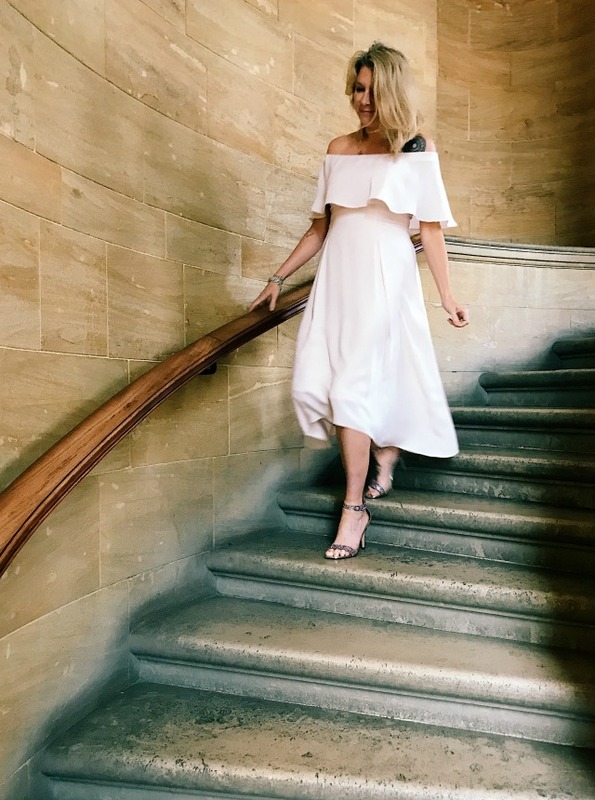 As well as its own range of clothing, it also stocks a number of high street brands, including three of my favourites: Coast, Oasis and TOMS. They offer next day delivery (including Sundays) and there's often a deal to be had.... this dress is still full price at Coast but is almost 50% off at Simply Be! So what do we think? And who wants to take me out on the town so I can give this dress its first outing? 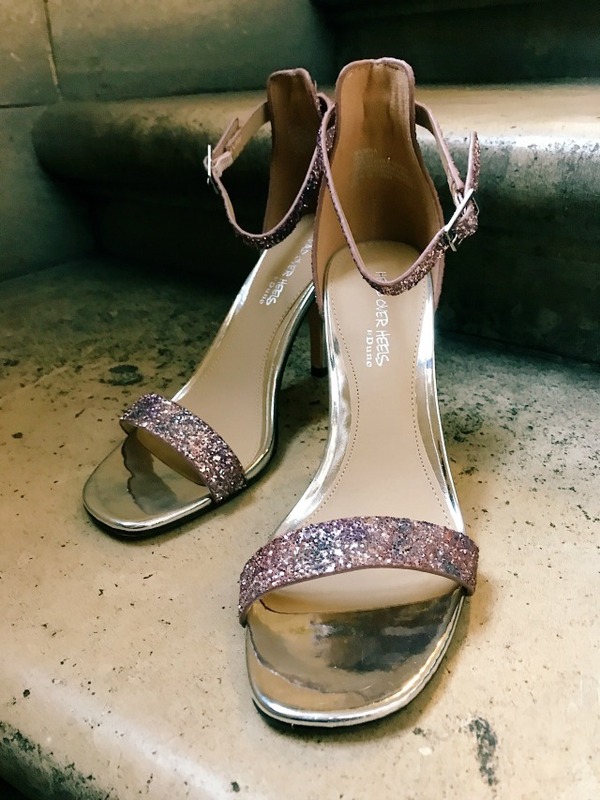 PS I couldn't write this post without giving a special mention to these amazing pink glittery stilettos. Have you ever seen a more gorgeous pair of heels? With a supportive buckled ankle strap and a high stiletto heel, these are going to be PERFECT for the Christmas party season.